The rarest cacao, 100% pure Nacional. Lost for over 100 years and newly discovered growing in the Marañón Canyon in Peru. 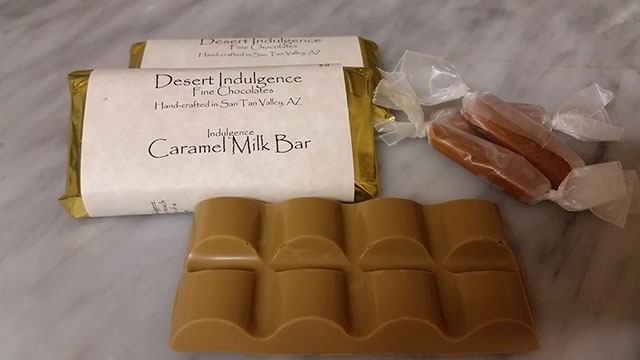 Part of the Simplicity line, this chocolate is pure and simple. Two ingredients; Cocoa Beans and Sugar. 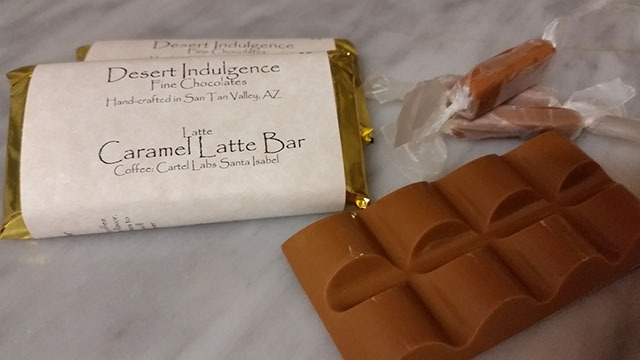 Nothing else to get in the way of tasting this truly unique and amazing chocolate. 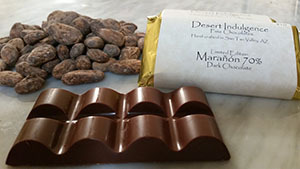 A deep and bold chocolate 77% cocoa content. Delicate fruity flavor notes are the hallmark of this bean. With the up to 60% white beans, the color may fool you into thinking you're about to eat a milk chocolate bar. 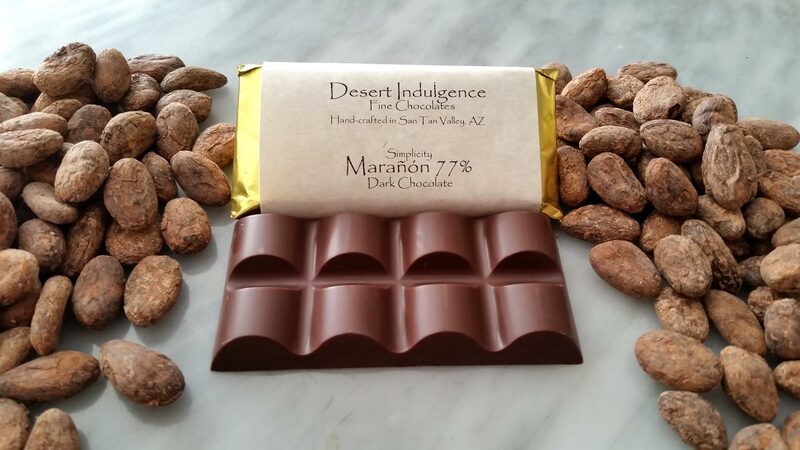 The deep, rich, bold flavors of the Marañón cocoa will remind you that this is a rich dark chocolate bar.